Since prehistoric times, the material richness of India has invited the attention of many different groups of people: the Aryans, the Mongolians, the Greeks, the Central Asians, the Persians, the Arabians, and the Europeans. The result has been a great and a complex intermixture of culture, blood and ideas. Thus there originated a lot of comingled-tales in the area. The cultural riches of India were captured in the eighteenth and nineteenth centuries by the civil service officials and missionaries who went beyond the calls of their respective duties to record the folk materials of the people among whom they lived and worked. Quite surprising! This is attractive too. The British, who came to India in 1757 to trade, became rulers on account of their fortune and shrewdness. But behind this, majestic and enriched collections of local folk tales were performed by those administrative officers at regular interval that the book “A History of Folktale Collections in British India” deals with. Dear readers, this book deals with the Indian folktale collections made by the British civilians, their relatives and the European missionaries during British rule in India. The book contains three chapters: First Chapter: The Role of British Civil Service Officers and European Missionaries in India; Second Chapter: Folktale Collections of European Civil Servants and Missionaries in India and the Third Chapter: Outstanding Collections of India Folktales by European Collectors. There are two appendices in the book comprising: Contributions of American Scholars to the Study of Indic Folktales in The Twentieth Century and The Modern Development in The Study of Folklore. We also face one of the earliest contributors is G. H. Damant, a Britisher, who continued publishing folktales in its first, second, third, fourth, sixth, and ninth volumes. 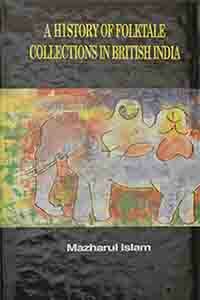 The writer informs us that Damant’s collections are the first Bengali folktales brought to the notice of the West. In juxtaposition, we also face Mr. Dalton, both of them are entitled to the ‘pioneers’-one as a Bengali folktale collector, the other as an ethnologist of Bengal. The second and third chapters portray so many names of folktales that highlight the scholastic aptitude of the writer: Professor Mazharul Islam, as well as His versatilities upon this sort of creation. If we go through William E. Marshall’s The Todas (Todas: a prominent tribe in South India) (London, 1873) we shall come to know that it is one of the earliest ventures of folktale collections. From this chapter, we come to know that Marshall’s collected “Story of Frog” is mentioned by Shakespeare in “The Lushai Kuki Clans”, so interesting! The book was first published by Research, Folklore and Compilation Department in February, 1970 of ‘Bangla Academy’ and the price is BDT. 150.00 only.